40 miles north of Columbus, Ohio is where an automobile legend began. In 1982, the 1st Accord rolled off the line at Honda’s flagship auto plant in Marysville. Celebrating production of the 10 millionth Accord this year, the state of the art facility amped up production and shattered a previous all-time high by rolling 492,409 vehicles off the line in 2013. Marysville’s 4 million square foot plant provides critical corporate leadership functions that include R&D, sales and manufacturing. In an effort to meet their record setting production goals, facility management strives for superior energy efficiency and initiatives to reduce unnecessary waste and consumption. 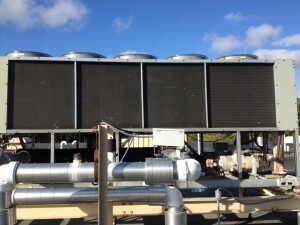 HVAC systems play a critical role in today’s facilities. Earning the coveted Energy Star certification from the U.S. EPA for the 6th year, this facility ranks among the top 25% of auto assembly plants in the nation for energy performance. Unfortunately, the plant is surrounded by numerous beautiful but messy cottonwood trees. 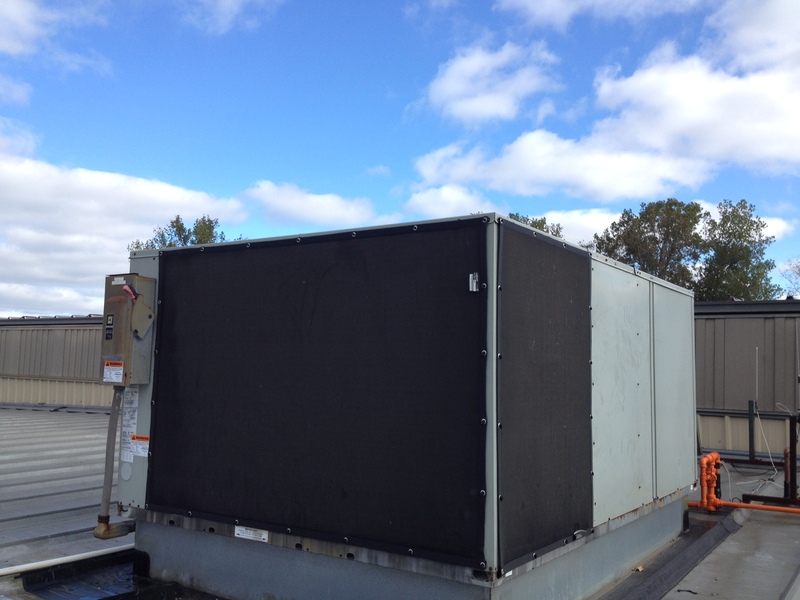 Depending on the season, the outside air carries their white fluffy seeds into the air intake fins and coils of over 100+ rooftop chillers, dry coolers and cooling towers. The systems become repeatedly clogged, creating reduced efficiency and increased energy consumption. Jim Dysert, Area Manager for Building Management Services, along with Reliant Mechanical is in charge of keeping the plant’s mechanical systems running at certification standards. Frequent cleaning of the clogged rooftop units took approximately 4 hours per unit, with 2 workers paid overtime during off hours when the units could be shut down. PreVent® woven electrostatic polypropylene air intake filters were custom sized and easily affixed to the outside framework of several Trane chillers and Liebert dry coolers on a trial basis. Installed on the clean units in June, with prime cottonwood season maintenance in mind, PreVent® filter screens were quickly brushed clean bi-weekly to maintain mandatory air flow and factory settings. In mid-September, when the units were opened and checked, the fins and coils were clean of environmental debris. Dysert, a facility manager for 30+ years, commented on his “huge cost savings in man hours” and saw an immediate return on his investment. Coil cleaning will be reduced to every 2 years instead of 2 times per year. 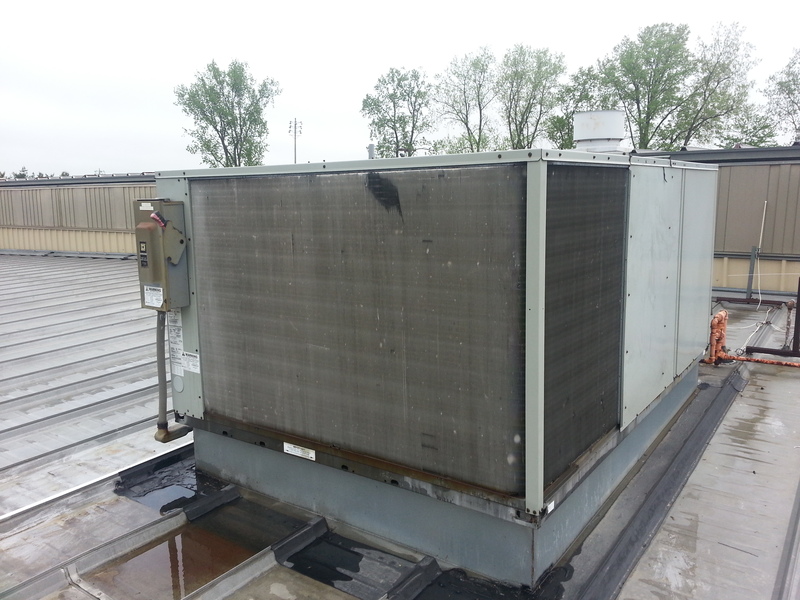 Coil cleaning procedures cost $500-$6,000 per cleaning, according to RSES Journal. 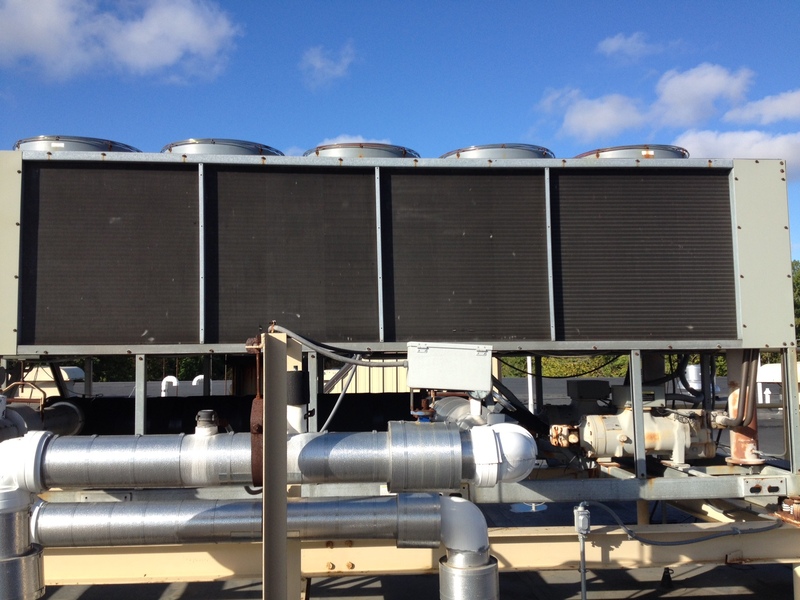 A large facility such as Marysville with 100+ air handling units can average 200 coil-cleaning procedures annually. You do the math!